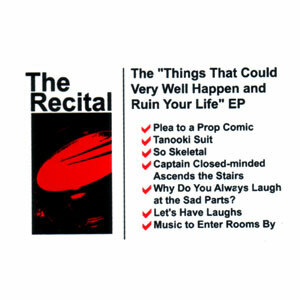 2nd ep by The Recital. Recorded at home and in Owosso, MI. Really good! 1. "Plea to a Prop Comic"
4. "Captain Closed-minded Ascends the Stairs"
5. "Why Do You Always Laugh at The Sad Parts?" 7. "Music to Enter Rooms By"